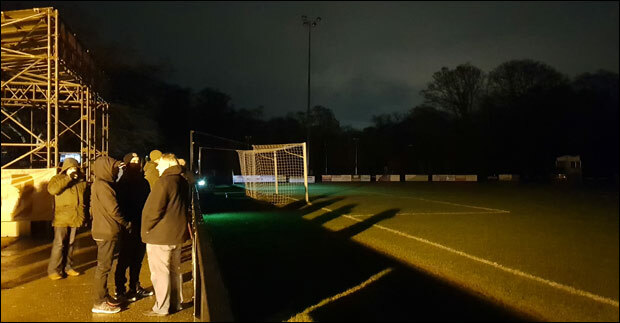 Floodlight Failure In The Sussex Senior Cup Saves Burgess Hill Town FC For The SECOND Time!!! Burgess Hill Town Football Club once again live to fight another day in the Parafix Sussex Senior Challenge cup after floodlight failure brought an end to their quarter-final tie at home to Eastbourne Borough - the second time this season that the Hillians have been rescued when trailing 2-0 in the competition. 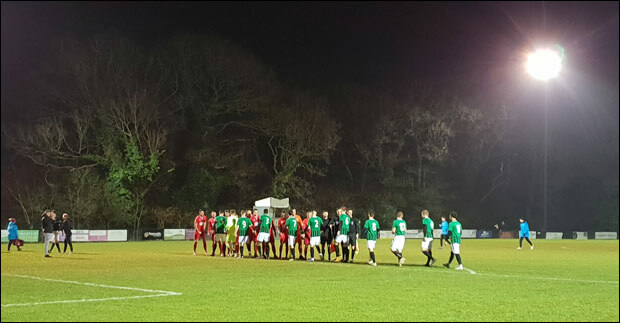 It was back in December at Pagham in round three where Simon Wormull's men were losing with just 12 minutes remaining when the floodlights failed forcing the game to abandoned and replayed after Christmas. A stronger Hillians line-up saw them progress 3-0 the second time around. On Tuesday evening they had home advantage against tough National Conference South outfit Eastbourne Borough, who boasted former Brighton and Hove Albion midfielder Dean Cox among their ranks. It didn't take long for Borough's quality to show as they took the leader after just six minutes through a nicely guided header by Charlie Walker to beat young Mitch Bromage in the Hillians' goal at his near post. One became two in the 19th minute through striker Joe Quigley who got the ball over the line after Borough's Lloyd Dawes found it all too easy to advance with the ball into the Hillians' box. A few minutes later half the lights in the ground failed. Attempts to reset them saw most of the power to the ground fail, leaving the club no option than to abandon the tie. Please keep hold of your tickets from this evening, as they will entitle you to FREE entry to the rescheduled fixture - date to be confirmed in due course. If you are unable to make the rescheduled fixture, please contact the club. Spread the word! 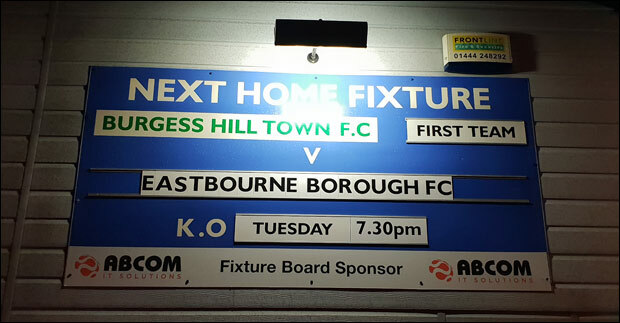 Burgess Hill Town Football Club live to fight another day in the Sussex Senior Cup! Were you at the game? What did you think of these extrordinary circumstance occuring yet again to save the Hillians from elimination from the cup?